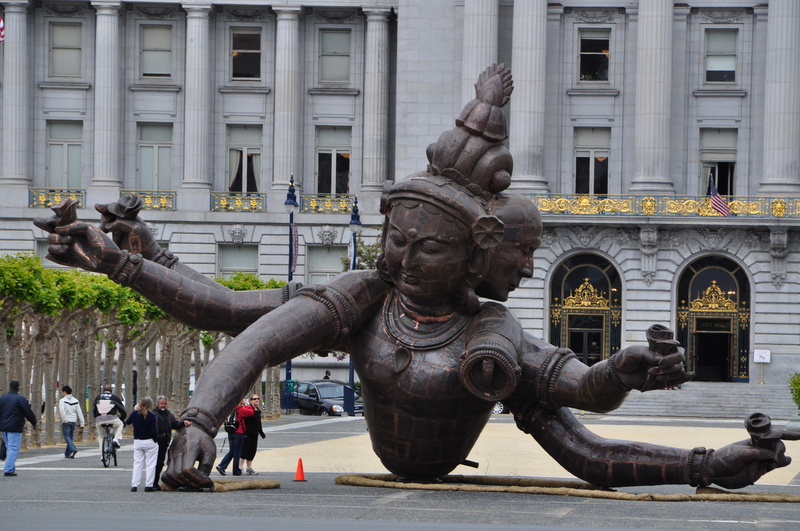 Amazing statue – downtown San Fransisco – I feel about this obvious and awkward buying and using certain items! This story starts with a very thoughtful birthday gift I received from my daughter – a Chamilia bead, embossed with the word Mother. I vowed to get a bracelet on which to display this exquisite little bead. As soon as I hit the city streets, I purchased a Chamilia bracelet and left the store under the mistaken impression that all of the beads and accessories you can buy for these bracelets are interchangeable. I’m at a loss to know if I was led to believe this or made an assumption. The various brand names meant nothing to me. On a shopping trip down to the US, I purchased a sparkly pink Persona bead and then on a whim a couple of matching bracelet stoppers – stationary beads that keep the other beads from slipping around and around the bracelet. The saleslady was kind enough put both the new bead and the stoppers on the bracelet for me and sent me happily on my way. About an hour later, close to the Canadian border, I noticed that the stoppers were sliding around just like the beads. That seemed odd to me. Right after this, in a restaurant washroom, one of the stoppers flew right off and skidded across the toilet stall floor. I thought that there might be something wrong with the stoppers. I went into a People’s Jewelry Store – they stock Persona beads in Canada – to inquire. I had removed the stoppers and was carrying them around in a baggy. I removed the bracelet to demonstrate the problem and the pink sparkly bead flew right off. Persona beads are not threaded like Chamilia and Pandora beads – another fact I was unaware of. I spun around in a panic looking for the bead only to see a man’s large foot step right on it. Thank the powers that be for thick carpets in Jewelry Stores. The saleslady at People’s was not helpful – she asked me in a very bitchy tone what I expected her to do about my problem. I did learn that there was nothing wrong with the Persona stoppers – they just don’t fit Chamilia bracelets. OK – my next stop was the Pandora store. If you have ever been in one of these bead stores you will understand what I mean when I say it is a bit like stepping into a temple – the lighting, the hush – you sort of expect harp music to be coming from somewhere. If I thought the lady at People’s was unhelpful – the lady at Pandora was positively nasty. She looked at me like I had horns growing out of my head – I had entered a Pandora store wearing a Chamilia bracelet – an unpardonable sin. She told me in no uncertain terms – staring down at me from a height of superiority mixed with what I can only imagine she thought was Pandora panache – Pandora stoppers only fit Pandora bracelets. I can assure my blog readers of one thing – if I live to be the oldest of the old, I will never step into a Pandora store again. Eventually I found my way back to the store where I purchased my bracelet to buy yet another two stopper beads. Now my bracelet is beautiful and I love it. All that remains for me to do is wait for the gift bling to roll my way in the form of birthday and Christmas present beads from all those people who could never figure out what I might want for a gift. It cost me $70.00 more than I wanted to spend to get to this point (the Persona stoppers), but I think I learned some valuable lessons – what the heck more can you ask? Moving on – due to my guilt about spending $200.00 on jewelry for myself, I decided to get my husband, Bruce, an IPod Classic. He had been making do for some time with an old Zen MP3 player, but the storage was limited and it wasn’t working the way he wanted it to. I made my decision before realizing how expensive an IPod Classic is – anyway – what better way to deal with guilt over spending $200.00 on yourself than to go out and spend almost $300.00 on your partner? 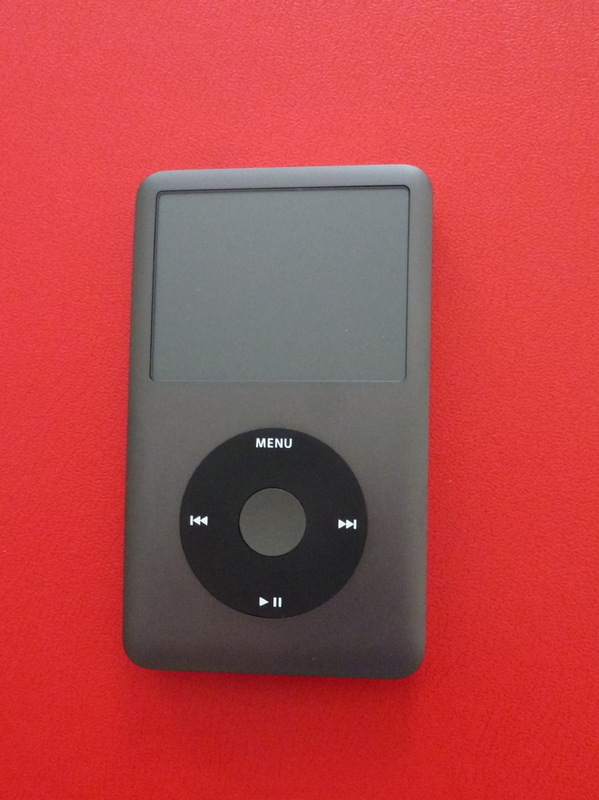 I walked into Future Shop – the IPods were near the door – I asked to see a Classic – and saw the price tag. I couldn’t help myself – I told the sales boy (they are all so young in these stores) three separate times, in what was shaping up to be a short encounter – I just wish they didn’t cost so much. I’m sure he was thinking, OK lady, get over it, already. Even after my lamentations, he still tried to sell me $90.00 extra in extended warranties and forced me to listen to all the reasons I should consider forking out the extra cash. He even had a handy little check-list to reinforce his message. Holy thick as a brick, Batman – the end price was already a bit over $280.00. No thanks! I found the small white box, a bit bigger than a deck of cards and maybe twice as thick (very classic looking, by the way), quite intimidating. I simply let in sit where I tossed it on the desk for almost a week. Bruce and I discussed it night after night on the phone – should we just return it? Every moron (except us apparently) knows an IPod can only work off the ITunes platform. I have ITunes on my laptop but Bruce’s wireless card on his laptop has bit the dust and we aren’t going to replace it. The thought of him using my computer all the time brings out my kid who won’t let anyone else touch her soccer ball on the playground persona. Bruce can somehow manage to screw-up the look of my entire desktop without conscious knowledge of having done anything at all in an amazing short period of time. Then we obsessed for some time about the fact that all the music we wanted to put in this damn thing was ripped into his computer using Windows Media – would it transfer over? What about later when he wants to transfer his LP collection? I hate returning things so I made the executive decision to get the thing out of the bag and open it up. I knew I should make sure it worked before travelling back to the hinterlands. OMG – the stress of my initial encounters with this space-aged looking piece of very expensive technology nearly rocketed my BP over the top. Suffice to say things didn’t start well – I had to get a knife to get inside the plastic wrap. Everything inside the box was so neatly packaged it was scary. The directions consisted of a very thin – no doubt classy – but to me totally inadequate – single sheet of paper. I could feel the beads of sweat forming on my brow. Open ITunes – check – plug device into USB port on computer – check – wait for instructions. I screamed on the phone to my daughter that there were no instructions coming up. Just wait – they came. After that it was the proverbial piece of cake. Everything I had in ITunes synced into the device as slick as a hippo in a pool of mud. All the files I had on my computer (including a couple of albums I had ripped in using Windows Media) were exported to ITunes in the blink of an eye. ITunes automatically converted any files that needed converting. After a few hours the device was charged, loaded with a ton of CBC podcasts, and ready to go. Well, almost. Apparently, everyone knows that the middle circle thing on the IPod spins around and that’s how you get up and down the various lists. I found this out after trying every possible combination of arrows to no avail and finally asking for help – holy feel like a classic fool, Batman. Oh well. I’m ready to pass the beast on for sure. Life is good. I survived. This entry was posted in Life and tagged beaded bracelets, buying expensive gear, IPod Classic, trials and tribulations of an inexperienced shopper.